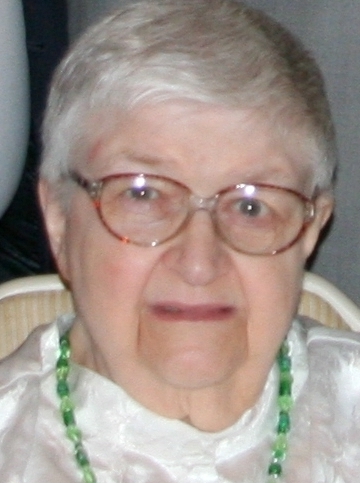 Patricia Louise (Houdeshel) Souder, age 89, of Mechanicsburg, PA, went to meet her Lord in her sleep at Messiah Lifeways at Messiah Village on Sunday, April 7, 2019. Patricia was born on December 18, 1929 in Harrisburg to the late Spurgeon Murphy Houdeshel and Helen (Gastrock) Houdeshel-Zeiders. Mrs. Patricia Souder was the widow of Paul Richard Souder, whom she married on January 1, 1948, and who departed too soon on December 15, 1987. In addition to her parents and husband, she is preceded in death by her grandson, Timothy Souder, who also departed this earth way too soon. Patricia is survived by her four children: Sharon S. Umholtz and her husband, Russel, of Mechanicsburg, Ruth S. Frantz and her husband, Donald, of San Antonio, TX, Daniel A. Souder and his wife, Jill, of Mechanicsburg, Patrick R. Souder and his wife, Debra, of Harrisburg; her five grandsons: Andy, Alan, Kevin, Brian and Brad; and her two great-granddaughters: Katey and Abby. Her grand doggies remain to miss her as well. When in high school, Patricia was quite athletic. Pat was primarily a farmer’s wife and homemaker. She sold sweet corn from the family farm as well as the detailed work of cutting out vinyl stencil letters for signage purposes. She canned many a vegetable and fruit preserve. Patricia enjoyed cooking, embroidering, listening to opera, and collecting teddy bears and bells. She and her husband also enjoyed playing pinochle. Pat had many canine companions whom she loved and enjoyed spoiling. The family sends their heartfelt thanks to the entire staff at Messiah Lifeways at Messiah Village and everyone at Residential Home Health Care, who cared for Patricia with such devotion, kindness, and love during her many years there particularly in her last months. Private graveside services will be held at the convenience of the family in Mechanicsburg Cemetery. All are welcome to join Patricia’s family at her memorial service on Monday, April 15, 2019 beginning at 3:30 p.m. in the chapel at Messiah Lifeways at Messiah Village, 100 Mount Allen Drive, Mechanicsburg, PA 17055; with Pastor Debby Bentch officiating. Patricia’s family invites everyone to stay and join them for a time of food and fellowship immediately following the service. Contributions in celebration of Patricia’s life can be made to the Humane Society of Harrisburg Area, 7790 Grayson Road, Harrisburg, PA 17111, www.HumaneSocietyHBG.org/Donate or the Endowment Fund for Benevolent Care at Messiah Lifeways at Messiah Village, 100 Mt. Allen Drive, Mechanicsburg, PA 17055, www.MessiahLifeways.org/Giving/Donate/.